FRANKFURT (Bloomberg) -- Daimler will offer a high-powered AMG version of the Mercedes A-class compact in a bid to attract younger customers and boost sales at the unit by 50 percent. The A 45 AMG will debut in the first quarter of 2013, marking AMG's first compact vehicle, the Daimler unit said on Tuesday. The model is part of a move by AMG, Mercedes's high-performance unit, to increase sales to more than 30,000 vehicles by 2017 from around 20,000 now. The model will have an "attractive" price and be targeted at customers between 30 and 45 years old, younger than a typical AMG driver, the company said. "Our goal is to build the most dynamic, most powerful and at the same time most efficient four-cylinder series production compact car," Ola Kaellenius, head of Mercedes-AMG, said at an event marking the unit's 45th anniversary at the company's headquarters in Affalterbach, Germany. 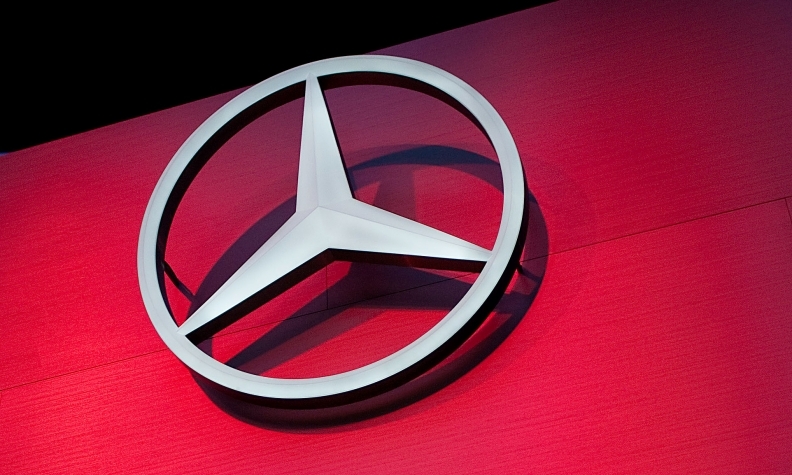 "Mercedes-AMG plans to make a significant contribution to the growth of Mercedes-Benz Cars." Mercedes, the world's third-largest maker of luxury vehicles, is expanding AMG's lineup to 30 models from 22, including at least three compacts and additional versions of the S-class flagship. The new high-performance cars are aimed at boosting Mercedes's appeal with younger, sportier customers in a bid to surpass rival BMW in sales by 2020. BMW is currently the best-selling premium brand worldwide with global sales of 1.38 million cars and SUVs last year. Audi sold 1.3 million, while the Mercedes brand sold 1.26 million in the same period. AMG adds horsepower and sportier styling to Mercedes models and represents the top of the luxury brand's offerings. The 630-horsepower S 65 AMG starts at 230,384 euros ($288,200) in Germany, compared with 71,876 euros for the S class's 204-horsepower base model. AMG's engines bear the signature of the engineer that assembled them. The high-margin cars add prestige to Mercedes, which is targeting sales of 1.6 million cars and sport-utility vehicles by 2015. Kaellenius said that AMG will contribute "over-proportionally" to Mercedes's goal of raising its operating profit margin to at least 10 percent of sales by next year. "As an image carrier and to strengthen the Mercedes brand, AMG is quite important," said Juergen Pieper, an analyst with Bankhaus Metzler in Frankfurt, who estimates the unit's margins at 15 percent to 20 percent. "The potential is there. Customers like high-performance cars." To support the expanded lineup, AMG will increase its network of outlets to 350 by 2017 from 270 now. The company sees opportunities to grow in China, Russia, Korea and Brazil, Kaellenius said. AMG, which competes with BMW's M and Audi's Quattro units, opened its first stand-alone store in Beijing in April. "We enjoy a dominant position with most of the M products we produce and that is something we intend to keep," Ian Robertson, head of sales for the BMW brand, said in a Bloomberg TV interview in London on Tuesday. "The M brand will continue to have the success that it's enjoyed in the past." AMG plans to premiere the SLS AMG E-Cell, an electric-powered version of the gull-wing supercar, at the Paris auto show in September, with deliveries to start in 2013. The model will pay off by introducing new technology, even if it struggles to make a profit, Kaellenius said. AMG also plans to offer more all-wheel-drive vehicles, Kaellenius added. The technology will be standard on the A 45 AMG. With the new entry-level models, "we can reach people who could only dream of an AMG car so far," Kaellenius said.